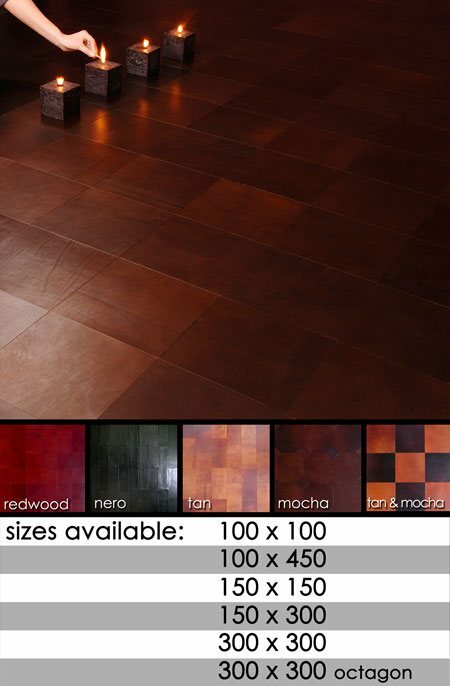 A great collection leather tiles that can be used in luxury interior design for both floors and walls. Within this collection we can supply 4 x different leather colour finishes and 6 different tile sizes. * 4 leather colour finishes. * 6 different tiles sizes. * Leather flooring is special order. * Approx 6 weeks delivery. * Prices start from £315 per m2. * Price includes UK delivery.